I have a much loved cat called Jinx and was extremely worried about leaving him alone. Catnips has been amazing. 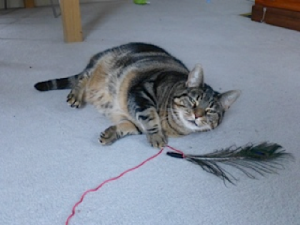 I booked two visits and received daily updates of video’s with Jinx looking relaxed and playful. I couldn’t have been more happier with the service I received. Catnips are like no other cat sitting company out there. Anita is kind, professional and knows cats inside out. I consider myself very lucky to have found such a fantastic cat sitting company. 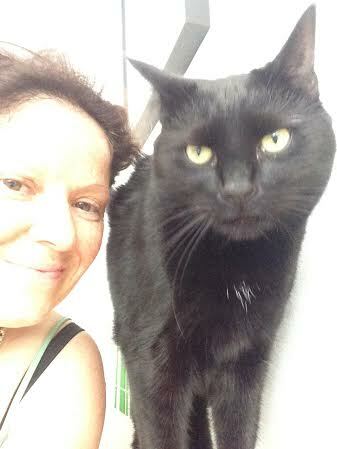 The Notting Hill cat sitting service is a small reliable family run cat sitting business established in 2009 by cat behaviourist and specialised cat groomer Anita Kelsey. Starting out with a handful of clients Catnips reputation grew, via word of mouth and excellent 5 star client references, to become the leading and most sought after Notting Hill cat sitting service in the heart of the area and supplying the very best cat care service. Same sitter always. Catnips does not hire any other sitters. We like it small, discrete and personal family run business. No faceless sitters. Short notice cat sitting no problem. We deal with many business clients who have last minute requests. Key emergencies? Some clients have found themselves locked out. Catnips is based just off of Portobello Road and therefore can deal with any kind of emergency quickly and efficiently. We have a key holding and key drop off free service for peace of mind. Live in the heart of Notting Hill. Basic cat behaviour advice can be given upon. request. Professional cat grooming by Anita Kelsey can be arranged during your time away. Individual accounts for business clients can be set up for payment ease. To enquire about Notting Hill cat sitting service please email:info@catnips.co.uk with your dates, post code and contact details. Caring for cats is what we know best.